Bussiere, who has her master’s degree in speech-language pathology from Kean University, also minored in theater and psychology. 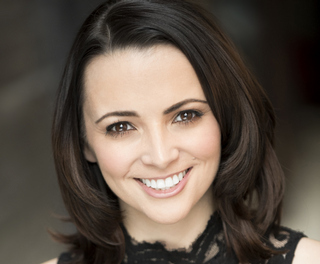 She has worked as an actor, singer, and voiceover artist with a specialty in dialects and accents. As a speech therapist, Bussiere knows about aphasia, how challenging it can be for those affected, and how little most people know or understand about it. So she decided to raise awareness of the condition by using several of her talents. “Aphasia affects more than 2,000,000 Americans, making it more common than Muscular Dystrophy and Parkinson’s disease. But most people have never heard of it…and that’s why I decided to write ‘Talk to Me.’ Giving a voice to those who have lost theirs is really important to me,” said Bussiere. In the fall of 2018, Bussiere and a group of theater professionals performed several successful readings of “Talk to Me” in New York City and at Kean University. They were so well-received that she decided to take her piece about aphasia to the stage. Not only will Bussiere’s live production raise much-needed awareness about what aphasia is, but she will also be donating 15% of each show to an aphasia facility and 5% to the National Aphasia Association. 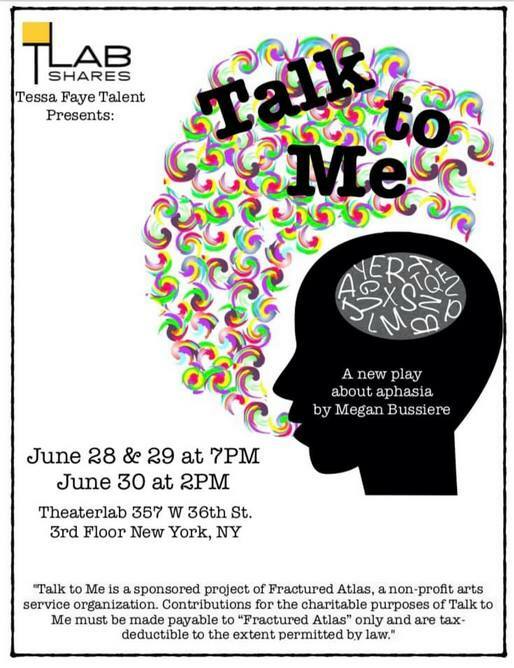 At this time, Bussiere is raising funds for her productions of “Talk to Me.” Anyone wishing to contribute to her fundraiser may do so at Fractured Atlas. All performances will take place at the TheaterLab at 357 W 36th Street, 3rd Floor, New York, NY 10018. Tickets are not yet on sale, but you can follow “Talk to Me” on Facebook, Instagram, and Twitter for the latest updates and when tickets will be available.